How Tuesday: Fair Trade Fashion | All That's Fair. When I was a girl and even into my early adult years I was not in the least bit fashionable. I didn’t think fashion mattered at all and I think I was concerned that I would spend too much time on something silly like fashion. But after living in New York City and now in Southern California these past several years I’ve learned that fashion isn’t silly at all. I have learned that I don’t need to spend a ton of time to look good and consequently, like working out and eating well, I feel better when I look nice. And fair trade fashion makes me feel even better because it gives back. Emma Watson showing off some fair trade fashion. So today I thought I would give you a few tips that I have learned over the years about fashion, my own little style guide and also pair up some fair trade jewelry with some of my favorite outfits. 2. 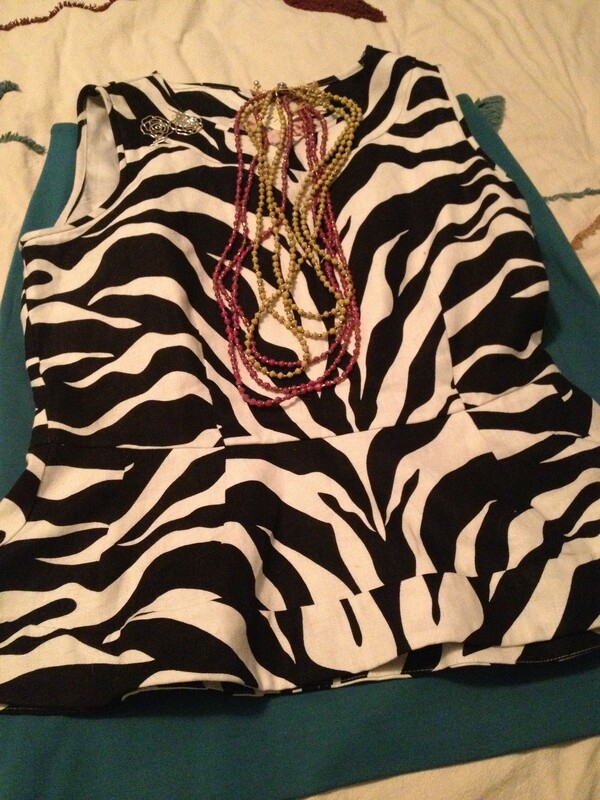 Animal print (in small quantities) goes with just about everything. 3. Don’t spend as much on super trendy pieces; they won’t be long enough to get your money’s worth. 4. A beautiful bag and lovely shoes make all the difference. 5. Accessories are a must, along with the bag and shoes, earrings, bracelets, rings and necklaces can make the most drab outfit look fun and fresh. This is the short list; there’s always more to add but these are my favorite. Now on to a couple of outfits. A simple white t-shirt is always a good piece to have. It goes with everything and this one has a lot of detail but not too much to be over the top. The jewelry really pops on the white and those are mint green skinny jeans underneath. I’ve worn this outfit to work and out for drinks as well. I like how the colors really stand out on the black and white of the zebra print. Here’s also an example of using a little bit of animal print to jazz up an outfit and along with the blue pencil skirt and jewelry I think it’s a fun outfit! 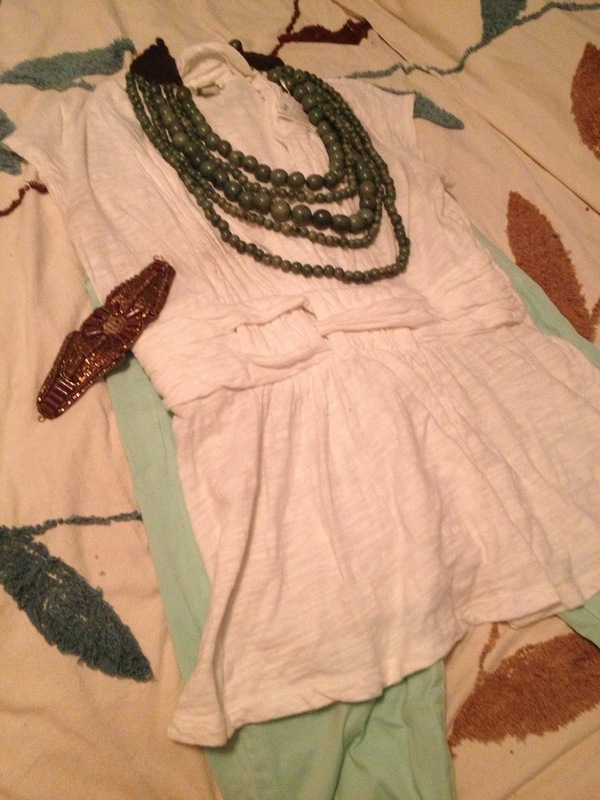 This entry was posted in Fashion, How Tuesday and tagged fair trade fashion on June 18, 2013 by Dawn Stary.